March 3, 2017 by iCepts Technology Group, Inc.
Microsoft AppSource allows you to select, try and add on functionality (Business Apps) which adds value on top of your existing Microsoft Solution such a Dynamics 365, PowerBI, Office 365 and others to help meet the needs of unique business requirements. 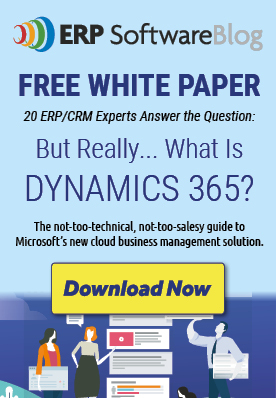 Microsoft Dynamics 365 is the next generation of intelligent business applications that enable organizations to grow, evolve, and transform by combining both ERP and CRM. On the cutting edge of technology, this cloud business management solution allows you to start with select functionality and add as you need to; including entire modules or just adding a business app. Microsoft AppSource is experiencing rapid growth as both customers learn and extend the functionality of their existing Microsoft product, and also Independent Software Vendors (ISV's) with developers who join this network offer their solutions to a worldwide customer base. The ISVs contributions to AppSource develop solutions across various industries such as Distribution, Manufacturing, Retail, Professional Services and many others. Microsoft AppSource is easy to use. Once on the site, simple choose the business functionality category, refine then by industry and finally by Microsoft Product. For example, Operations + Distribution + Dynamics 365. Next, “Top Apps Results” will be displayed for you to learn more about or download. AppSource’s ever growing Cloud Business Management functionality coupled with existing Microsoft Solutions are a modern and powerful way to tailor your specific requirements.